In front of the entrance to the Vis Bay there are several small islets. Among these there are Volići, which consist of two isles, surfaced to more or less one meter, Volić Veli and Volić Mali. On Volić Veli, located further from the island of Vis isle, there is a lighthouse, determining north-west border of the fairway of the port of Vis. The second lighthouse is situated on the Krava isle, located on the eastern side of the entrance of the Vis Bay. The names of Krava and Volić in English mean a cow and a bovine, and the lighthouses settled on the isles are called the horns of the animals. The dives on Volići can be carried out in several ways and is attractive for divers on various levels of training. Close to Volić Veli, over the plain extending on the depth of about 6 m, there is a possibility of mooring a boat. On the plain, besides the animals characteristic for these part of the Adriatic Sea, it is feasible to see the Mediterranean parrotfish and green nudibranches belonging to the species of Felimare picta. 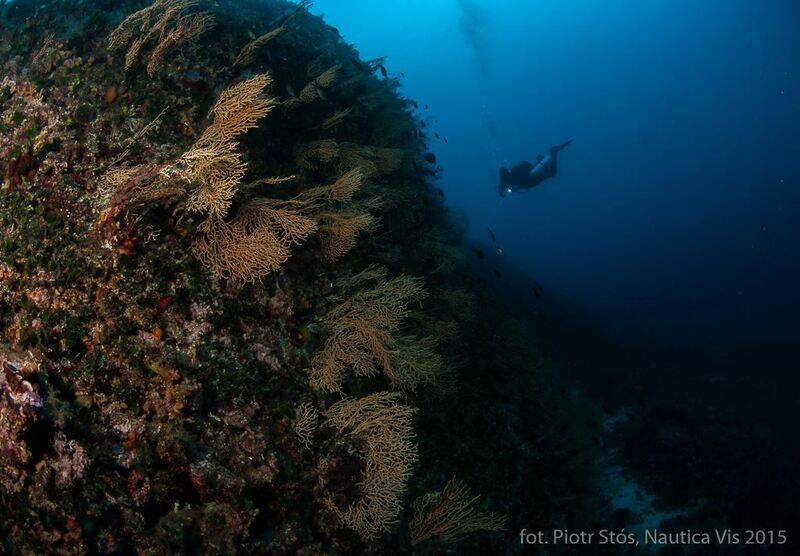 During the dive from the anchored boat, the divers swim around Volić Veli – in the beginning passing a small canyon, the divers get towards the open sea and continue the dive along the wall falling to a depth of about 45 m. In the shallows it is possible to observe the Mediterranean chromises playing and swimming through the holes in the rocks. 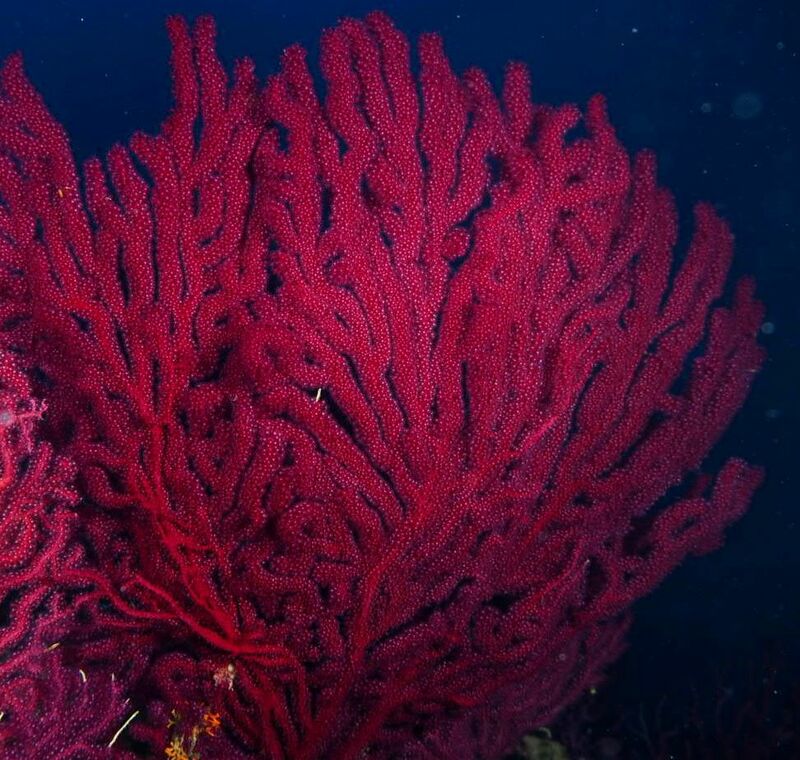 Below the 20 m depth, in turn, there are colonies of sea fans growing – shallower the yellow ones, deeper the red ones, among which the Mediterranean morays, red scorpionfish, various crustaceans and rarely seen eggs of the catsharks can be found. 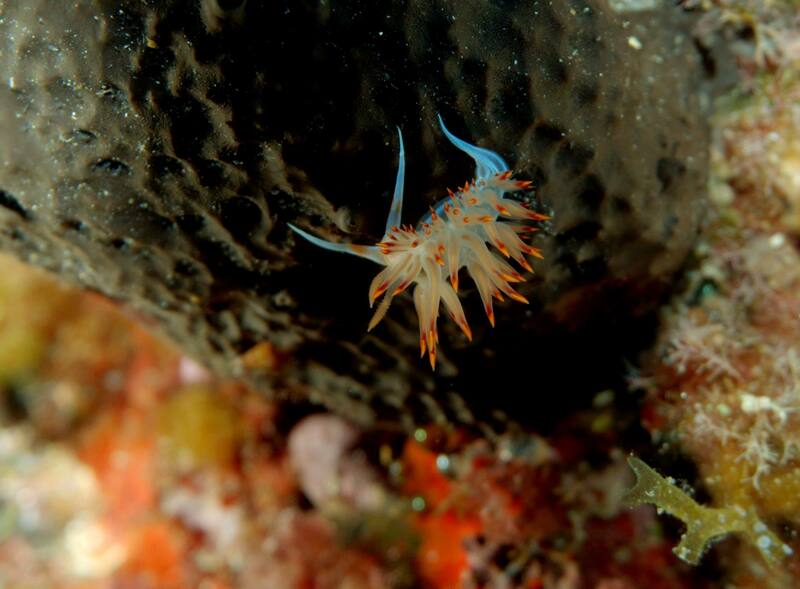 On the sea fans there are also often seen the nudibranches growing up to 2-3 cm belonging to the genus of Flabellina. 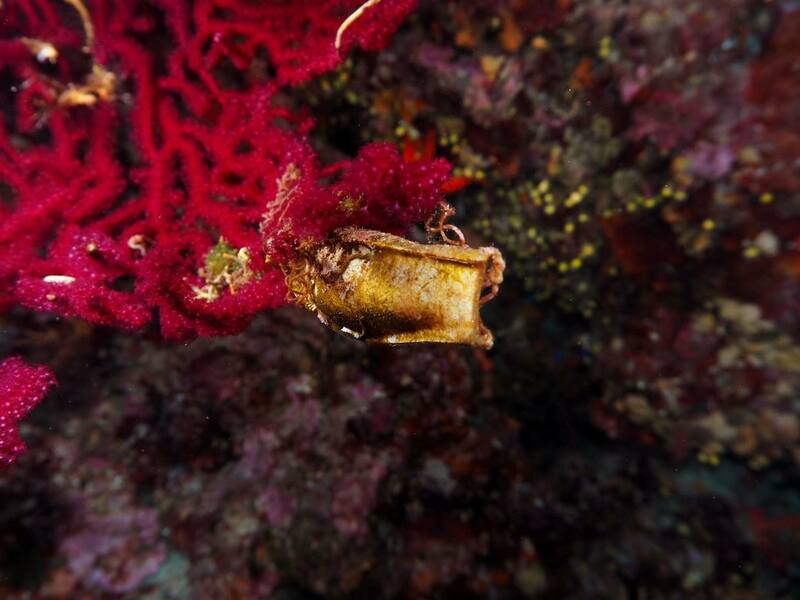 This diving site due to the high biodiversity is usually chosen when planning the night dives. The abundance of flora and fauna in this place results from the good oxygenation of water, which in turn is caused by intense water mixing, which indicates the of occurring relatively, as for Adriatic Sea, strong currents. 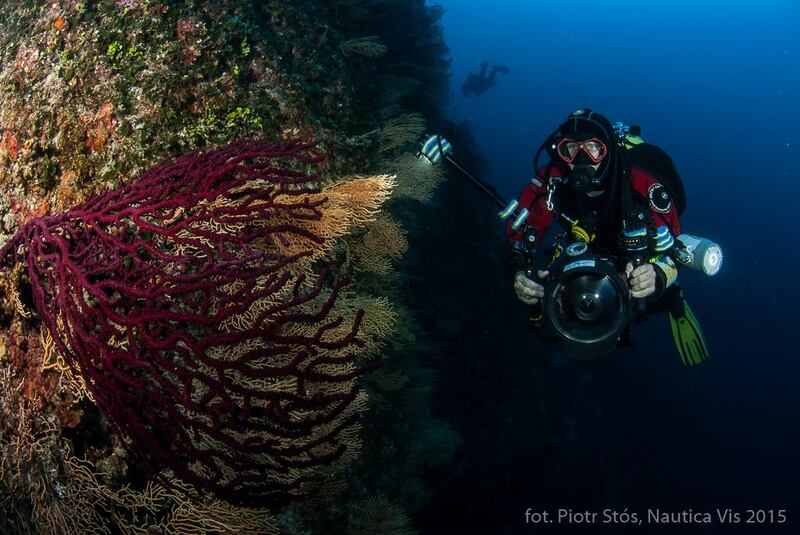 The currents usually carry water from Volić Mali to Veli, so in such situations drift diving with currents are undertaken. The dive begins close to the smaller isle, where at the depth of several meters divers can swim under a very characteristic rock, shaped like an arch. Between the islands there is a saddle at the depth of about 16 m, which the divers follow, protecting themselves from the currents and admiring the sea fans.